When you are made redundant (or laid off they call it in the USA), it can be really scary. You don’t know how you will pay all of the bills; how you will afford to eat; how long you will be out of work for, and how to make money if you are on UK benefits because any personal income money you do make, is taken away from you as a deduction of benefits. It’s a chicken and egg situation, and many times you will feel stuck, frustrated, scared, lonely, worried and anxious about your future, and stressed out. It’s important to take control of your situation right away. We are not taught how to manage money in school, but it is one of the most important life lessons you will ever make, and there is no better skill to learn than this. Despite our happiness not relying on money, when you are constantly stressed and worried about where your next pound is coming from in order to pay bills, keep a roof over your head, and food in your belly, it’s not that much fun. I can tell you this from personal experience. So go grab a pen and paper and note down all of your current incomings and outgoings. If your outgoings are more than your incomings, you have to make managing your finances your full-time job in this moment, and for future years to come. You have to get serious about saving money. Cutting down your food bill as much as possible by focusing on buying just the essentials you need to eat. Such as breakfast cereals, meat, fish, potatoes, milk, bread, and cutting out many of your more luxurious treat foods, such as Ice cream, chocolate, wine, and pizzas. Eat out far less, such as once month, (or not at all), and choose somewhere you can buy a meal deal for £5 or less. Cook basic foods at home more and eat before you go out food shopping to avoid the temptation to buy tons more food and snacks. Buy the ‘value’ or ‘basics’ option of things in your local supermarket whenever possible. Most of the big brand names make these anyway and just substitute the supermarket’s own brand of lable on them, without the expensive price tag. Shop around for the best and cheapest prices on what you need to buy. Walk further if you have to, to get it cheaper. You will save pounds in your purse, and lose those excess pounds with all that extra exercise you are getting from walking to multiple places. Look out for genuine special offers that save you money, without encouraging you to buy multiple of the same item that you don’t actually need. Also look for bulk buys of the items you do need multiple of, to save you money in the long run. Say no to offers from family and friends of doing things that you know you cannot afford. If you have a monthly subscription to things like Sky, Netflix, a magazine, or video streaming service, strongly consider ditching it. If you have a gym membership you hardly use, get rid of it. Try to cut down on utility bills and switch suppliers if you need to. Keep cutting down on food, bills, and expenses. Revise and re-revise your incomings and outgoings on a regular basis to see what you are spending your money on, so you can keep making cutbacks until you are living within your means. None of these mean anything if you don’t take action now, to save instantly. So put these 11 Ways how to save money when you are redundant and out of work, into action now. Yes, now! That means you, reading this! If you haven’t got that pen and paper out yet, nothing will happen, you do know that right???? Yes, it’s scary to find out how much money you actually spend and what you spend it on, but until you do this and stare your fear in the eye head on, you will never lose that fear, and you will always be at the mercy of money instead of being in control of it. You need to manage your money instead of ‘it’, managing you. In my next blog post I will show you a Twelfth way you can save money and in effect gain money for free! Some people already do this I am sure, but others don’t bother and have never looked into it! I would love to know what you think about these 11 ways you can save money if you have been made redundant and you are out of work. Please post in the comments below, and let me know what else you would like me to add. Your brain is your life force. If you don’t keep your brain alive, you die inside, it’s as simple as that. Once your brain has no juice to keep it going, and no hope because it has nothing to live for, it dies inside and so do you with it. This is what happened to my Grandma when she was in a nursing home that no longer stimulated her mind, and in my opinion did not even care for her in the most humane way they could have done, but at least I had her for 96 years and so I am very thankful and grateful for that. Although most of those years were before she went in there. I pray I am always able to look after myself or pay for myself to have care in my own home in years to come should I need it, because I would not wish that on anyone. I used to think I would like to be in a nursing home if need be in the future as I would always have company and make friends but not when you are not able to go to the toilet when you want and peeing yourself or into a pad so it seeps out onto the chair is acceptable. Don’t worry, I did fight for her while she was alive, and had meetings with the manager/s, but to no positive outcome, in fact I was almost banned from seeing her and that stopped me seeing her when I really needed to. That is why it is so very important that even if your body is not in the best state of heath, you make sure your brain is kept alive so you can think for yourself and stay in your own home. After a fall she was put in there and stayed there and at first they had activities to stimulate the resident’s mind but then they stopped having those, although to the public it was a different story. My Grandma used to do word searches while in her own home and that really helped and my parents do crosswords to keep their brain active and alive. My mum also watches a lot of TV programmes that ask general knowledge questions and my dad although retired blacksmith, has a non-profit organisation at the age of 72 years and now works up to 5 days a week, doing courses in Blacksmithing. He helps a lot of people with special needs to gain confidence and self-esteem through working with metal as well as those without special needs and people come from all over the world to attend. Some people buy gift vouchers to give as a birthday or Christmas present or other. 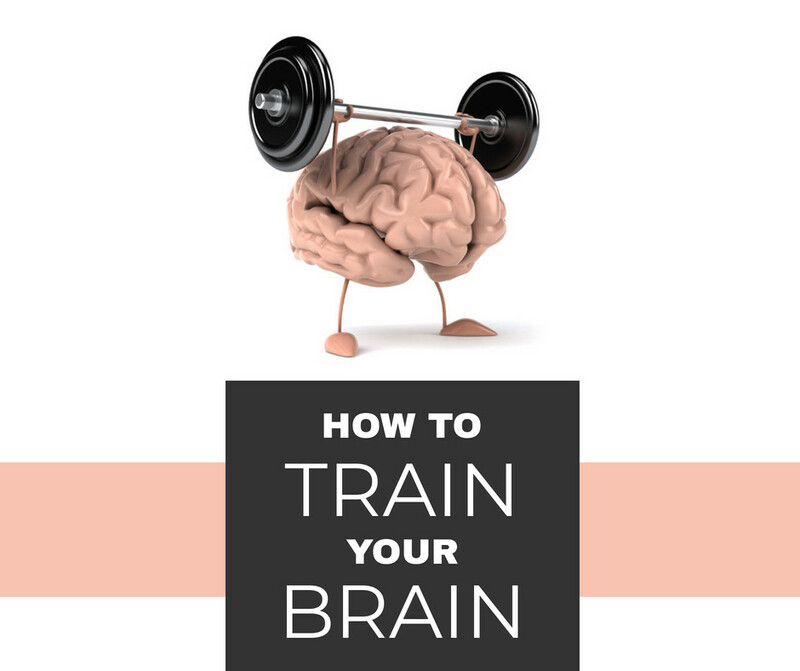 So whatever you do, keep your brain active as much as possible, so you maintain a good quality of life and your independence, and you also keep your morale up. 6. Listen to motivational and thought-provoking YouTube videos. 7. Watch films that make you think about life, the world, planet, and universe! 8. Read things that help you to learn skills. 9. Do things that give you incredible experiences to make you think differently. How are you keeping your brain active and alive? Please comment below because I love to read you! As always, stay positive and live your quirky dreams. Great friends are hard to come by. Life-long friends are hard to come by and I value each and every one of my friends. But what friends do you need the most to improve your life! Brendon gives great and insightful advice about what friends you need the most and those you need to keep in your life to improve it! I have some really special growth friends in my life and I love spending time with them so much, sadly they are spread out all around the UK, but we do keep in touch regularly and I am so thrilled I have them for life I believe! Making change in your life is really tough, I know that from personal experience. But I also know I can do a lot of things I could never do before by pushing my boundaries and getting out of my comfort zone. Such as I can do multiple live streams time and time again with no script at all! I love Brendon’s advice most about believing in your ability to work things out! This has helped me lots! I love the fact Brendon says you can have a second chance every single day! Which advice do you like the most? Rewire Your Brain For Success In 5 Minutes Using This Technique To Change Your Life ! This video I only recently started to use, along with the other two meditations mentioned in the last two posts, it is extremely powerful! Try it and tell me what you think. Did it open your mind for success and clear the clutter? Did it work for you? What did you think? If you have any suggestions of meditations or videos that will help rewire our brain for wealth and success, please share them in the comments below so we can all benefit from them.